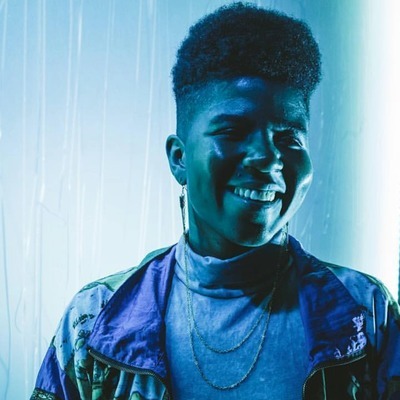 SassyBlack is a space aged singer/songwriter and producer from Seattle. This Goddess of “electronic psychedelic soul” and “hologram funk” explores sound through deep compositions. 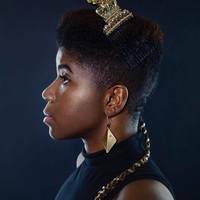 With roots in classical and jazz, her voice is comparable to Ella Fitzgerald and Sarah Vaughan. Influenced by many artists from 1970s, her production value is reminiscent of Roy Ayers, Pharrell and Herbie Hancock. SassyBlack has traveled the world having performed in Berlin, Barcelona, New Orleans, Milan, London, Brooklyn and more. She has gained praise from The Fader, Loud and Quiet Magazine, Pitchfork, Noisey, Dummy Mag, Saint Heron, SPIN and many others.